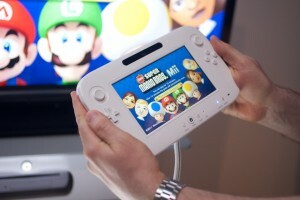 Nintendo’s “Wii U” game console will have innovative TV and video features when it launches in November as it plays catch-up with Microsoft and Sony and aims to lure gamers back from the Internet and mobile devices. This first new Nintendo home console in six years will allow users to make personal TV and video programming lists and record shows through TiVo and other digital recording services. “It should be the entertainment hub in the centre of the house,” said Scott Moffitt, Nintendo of America’s executive vice president of sales and marketing. The machine will cost $300. Gamers have migrated steadily online or to mobile devices such as Apple’s iPad and this shift has weakened video game hardware and software sales.